Check out these Giuseppe Zanotti Zak 10 sandals ($925), which are without question attention grabbers. 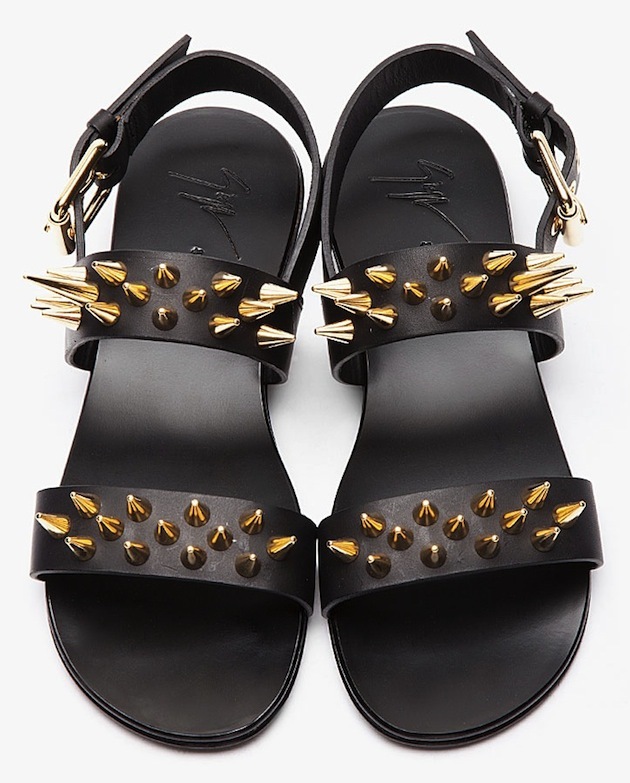 Made of black leather, they feature gold-toned metal spike studs on the straps as well as a gold-tone metal buckle on the heel. Adding comfort, quality and contrast to your shoe collection.